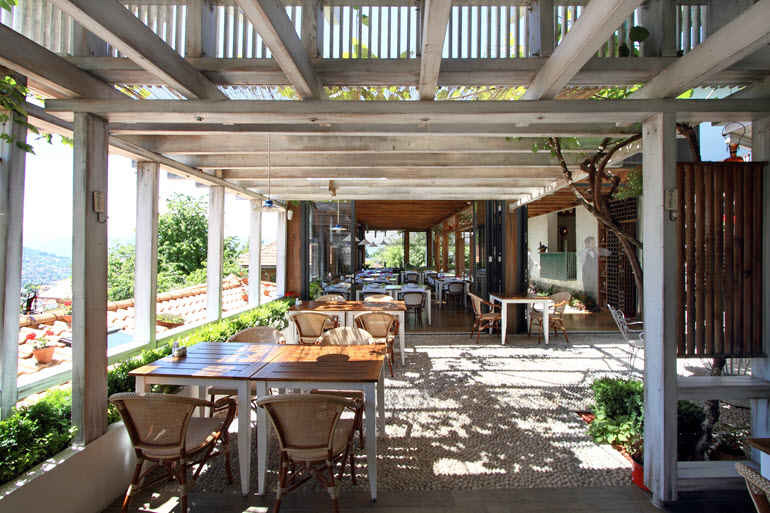 Restaurant Kibe Mahala - Welcome! 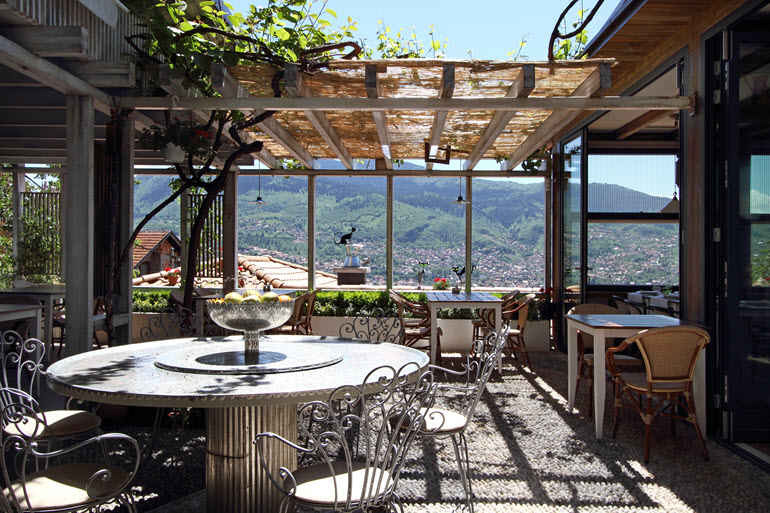 Offering stunning panoramic views on Sarajevo, Kibe Mahala offers a selection of the finest Bosnian national dishes, whereof the famous spit-roasted lamb, and a wide assortment of wines from Bosnia and Herzegovina and the region. 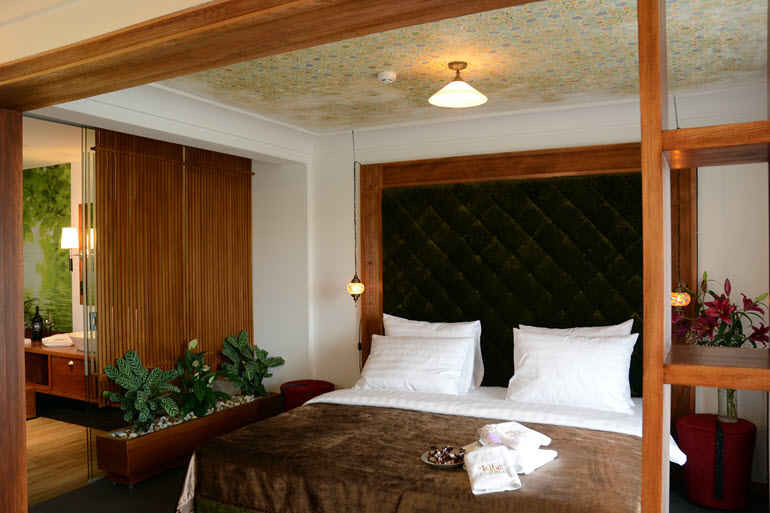 Besides its famous gourmet restaurant, Kibe Mahala offers its guests a very comfortable and luxurious accommodation. Designed in the spirit of the traditional and cosy Bosnian architecture, our rooms offer full-service accommodations and amenities. These include a smart TV, air conditioning, and free high-speed Wi-Fi. AZRA is our smallest room, at least in size. Just like all of our rooms it offers full-service accommodations and amenities. EMINA is a larger room with full-service accommodations and amenities. 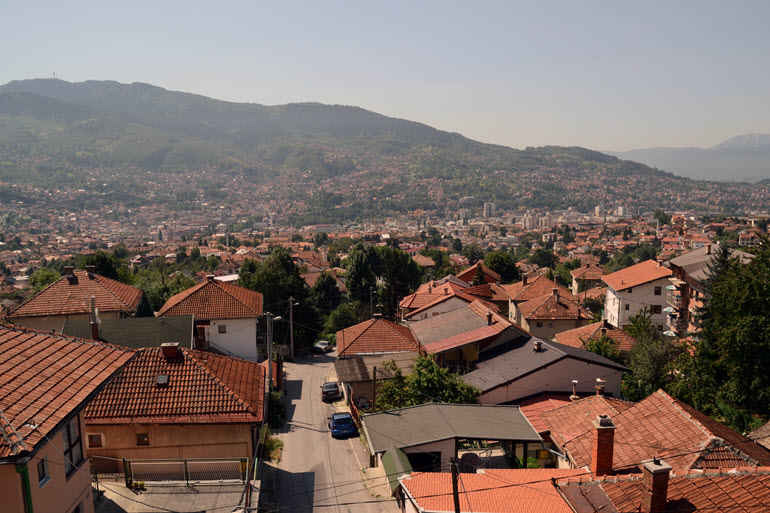 It also features a balcony with view on the city. 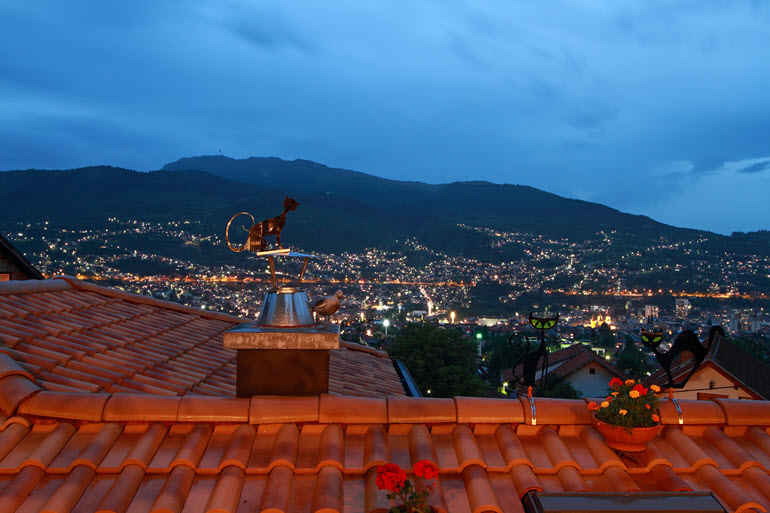 BEHKA is our largest room with full-service accommodations and amenities, with balcony with view on the city and a very large Bosnian rest room. 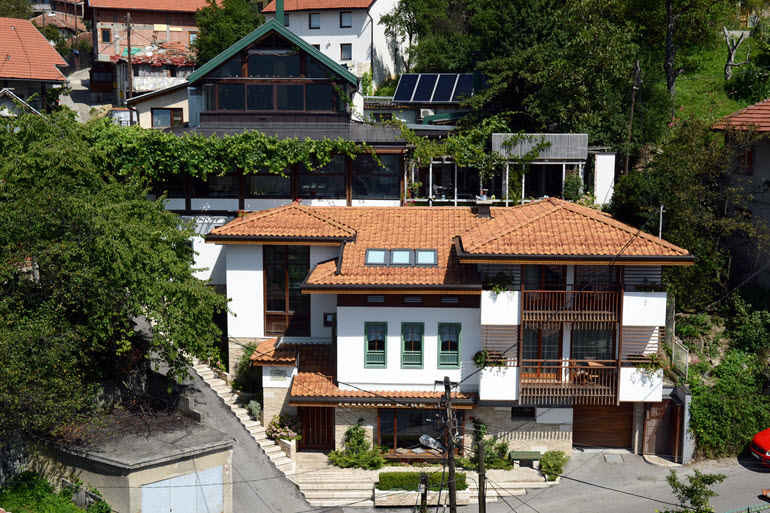 Located on a hillside of Sarajevo, just a few minutes' drive from the city centre, Kibe Mahala offers a breathtaking panoramic view on the city and the surrounding mountains. Over the years, this widely known establishment has welcomed prominent figures from all over the world and representing all spheres of the society: statesmen and politicians, representatives of international organisations, artists of international renown, and many others. 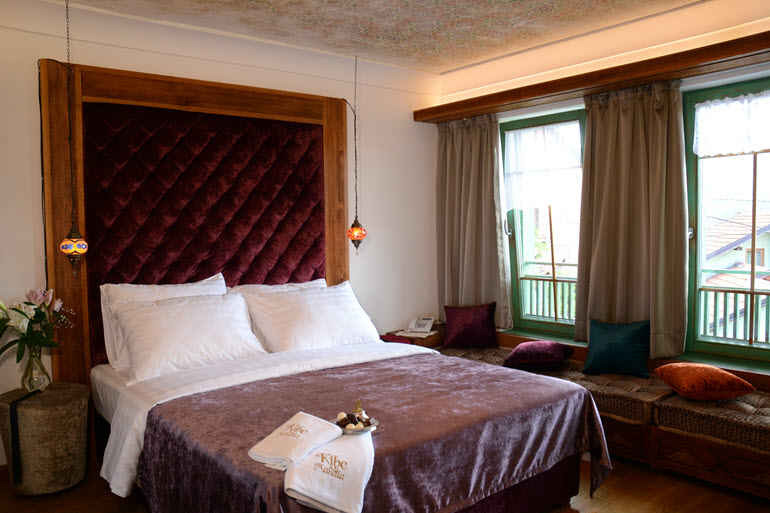 Designed in the spirit of the traditional and cosy Bosnian architecture, our rooms offer a splendid view of Sarajevo, with full-service accommodations and amenities. 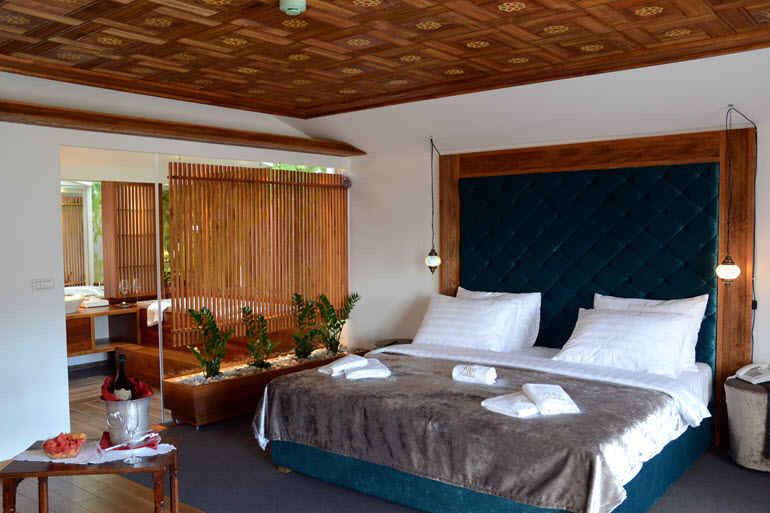 Discover our rooms and book directly with us. 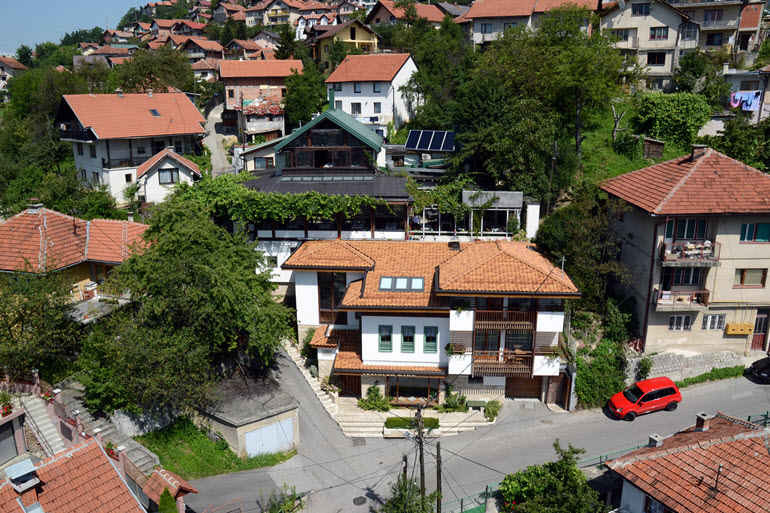 Kibe Mahala also offers you to discover Bosnian handcrafted artwork and exhibitions. 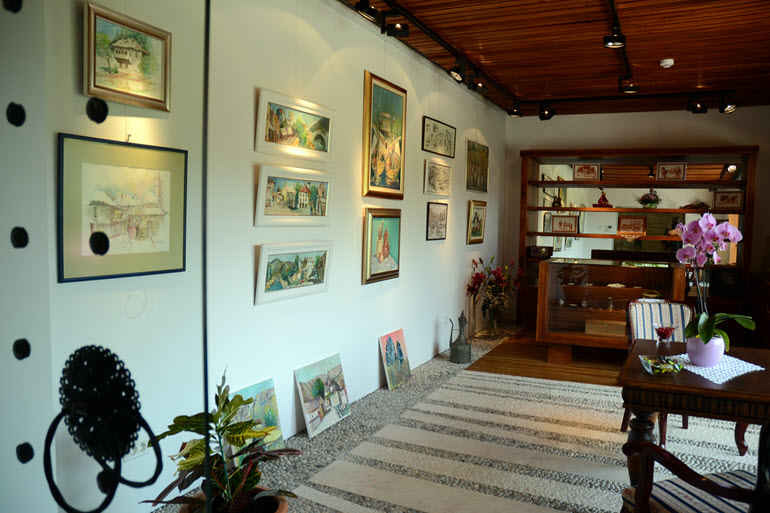 Visit our Art Gallery and discover handcrafted souvenirs engraved in our name, or take some times to appreciate works by local artists and our photo galleries.